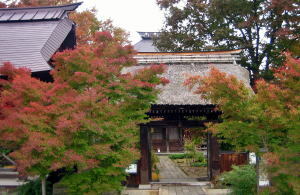 鋭く天を衝く大屋根 To put your mouse on the words "Summary in English", articles in English come out. 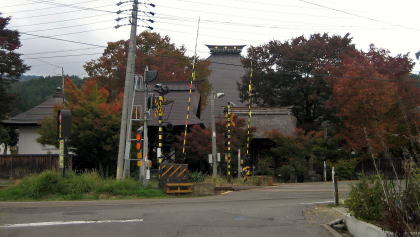 Saikeiji is standing northwards 800 meters away from Iiyama Station. 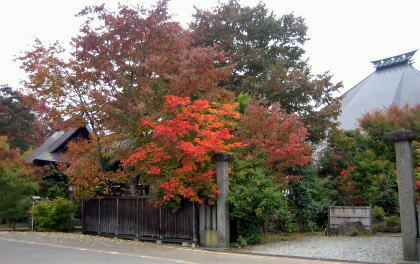 Just behind a railway-crossroad of JR Iiyama Line. 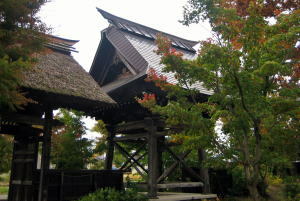 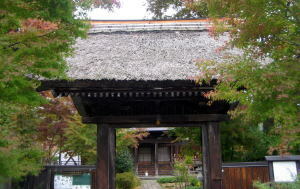 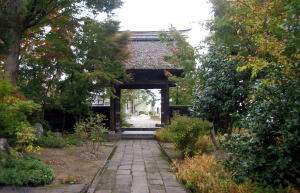 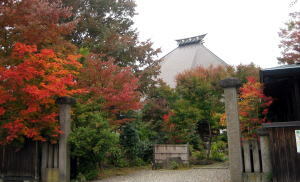 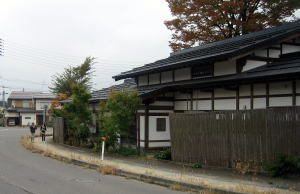 A thatched roof of its gate is the landmark. 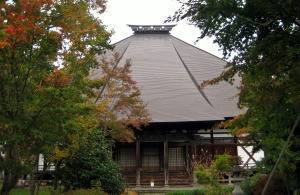 And a steep roof of its main hall is very impressive. 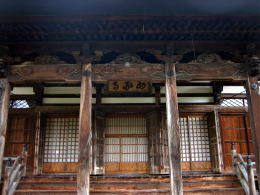 The information board says that it was originally founded 1255 by Shakuzenko, a pupil of Shinran, in Kurashina Village in Hanishina County. 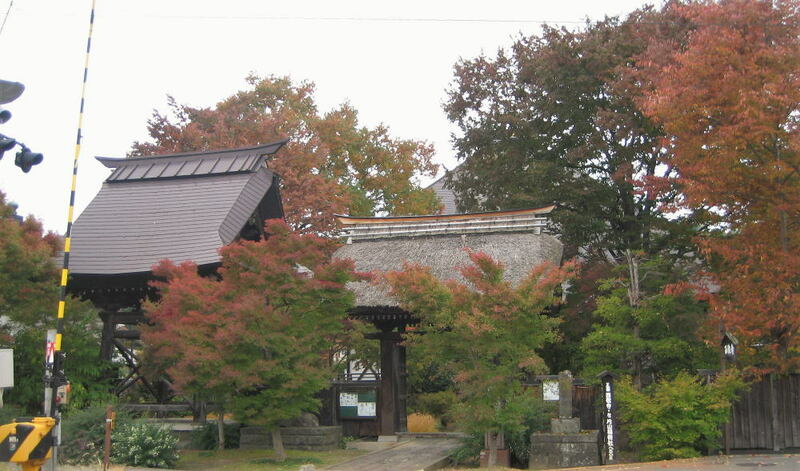 But it was moved to Iiyama 1672.